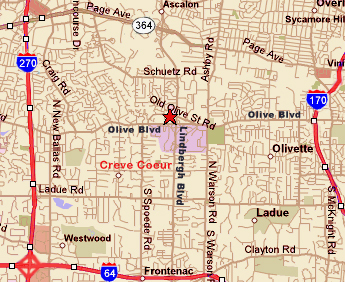 My office is at 745 Craig Road, located just south of Olive Blvd. between 270 and 170. 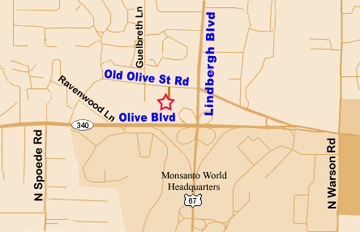 From Olive Road, turn right on Craig Road, then right into 745 Craig Road driveway, and continue behind the building. The entry doors are on the West side of building.